You’ve probably noticed that your posture is better when you are in a good mood, while you tend to be more hunched over and slump when you’re having a bad day. There may be more science behind this observation than we realize. A study in 2012 decided to look at the relationship between personality and posture, trying to understand how the mind is influencing the body when it comes to developing and maintaining good posture. The investigators recruited 100 people and looked at their postures against a Myers-Brigg personality test. They found some interesting results. ‘Personality’ described our mental and emotional state. It is a stable set of characteristics that appear in individuals in unique combinations and account for their thoughts, motivations, and behaviors. You might think of good posture as requiring the body to be straight, tight, and rigid. However, the study found that people with Type A personalities did not have the best postures. In fact, personalities that are less flexible and adaptable had postures that are less flexible and relaxed. These people are more likely to suffer from back pain compared to more relaxed, outgoing people. Introverts appeared to have one of the largest reactions to psychosocial stress which damages their postures. The study suggests that developing a good personality is truly an attempt to improve our posture and vice versa. This means that improved posture may help you deal better with psychosocial stress and generally make you a happier person. Bladeflex is an example of a posture correction system that does the hard work for you – just a few minutes a day corrects posture. It’s nice knowing we’re also making you happier. In addition to feeling better mentally, you will notice psychical improvements when it comes to back pain. 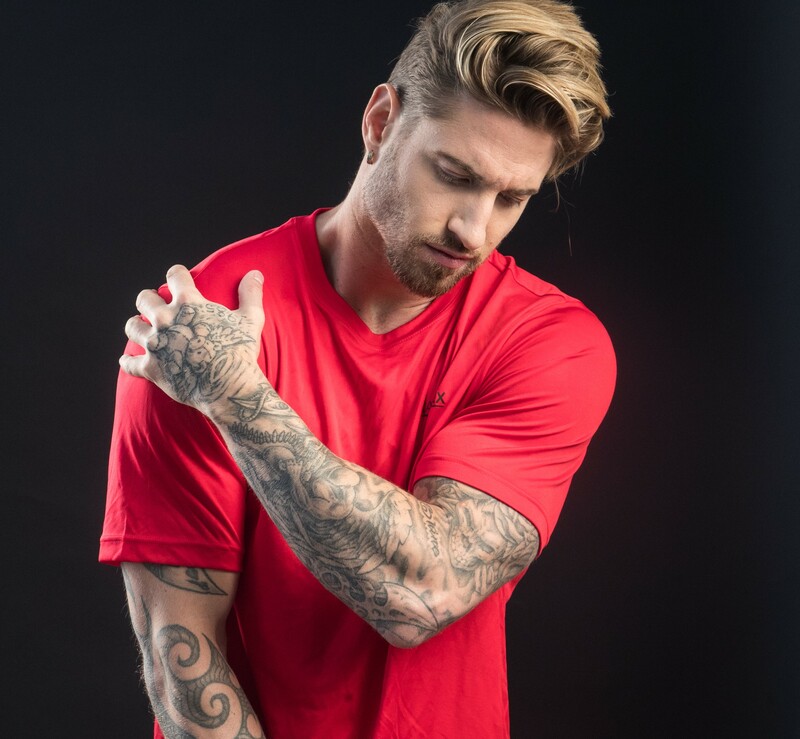 Every year, 45% of the population between the ages of 35 and 55 years suffer acute back pain, with 2-7% of these people reporting chronic pain. It has been estimated that 1 in 25 people will change his or her work because of low back pain or will retire early due to disability stemming from low back pain. Posture plays a significant role in back pain. Each body segment has a center of mass, the different segments forming a composite center of mass that, in turn, creates a center of gravity, which helps maintain body balance with minimal effort. However, misalignment of certain body segments as a result of poor posture cause compensatory effort by other segments to maintain body balance, resulting in muscular strains and stress on the neurological system and resulting in back pain.